I get this question ALL the time. As soon as I mention I’m a skincare junkie, everyone wants to know my anti-aging secrets. My answer? Retinol (or any other form of vitamin A. It just happens that retinol is the most common). You can recognize a retinol face a mile off. It looks smoother, brighter and younger than its real age. Retinol is SO good, once you’ve dipped your face in it for the first time, you’ll want to meet its siblings, too. Because, why stick to just one form of vitamin A when you can use two or three? One word: irritation. Retinol is strong and strong in skincare often translates into dryness and flakiness. But, if your skin is already used to retinol and rarely throws a sensitive tantrum like mine, after a while you can indeed venture out into more advanced territory with a cream or serum that has more than one form of vitamin A. The Ordinary Advanced Retinoid 2% is the most popular option. It features both microencapsulated retinol and hydroxypinacolone retinoate, the new vitamin A kid on the antiaging block. Indeed Retinol Reface goes a step further: it features both retinol and hydroxypinacolone retinoate and palmitoyl oligopeptide, a retinol-like peptide. Should you make the switch? The main difference between The Ordinary Advanced Retinoid 2% and Indeed Retinol Reface? The way retinol is delivered. The Ordinary uses a time-released technology that delivers retinol into your skin over a period of several hours. The retinol in the Indeed serum, on the other hand, hits your face all at once. Both delivery systems are equally effective, but The Ordinary’s approach is more gentle on the skin. Time-released retinol is, sometimes, gentle enough for sensitive skin. Normal retinol, like Indeed uses, isn’t. If your skin’s sensitive, The Ordinary is the way to go. Otherwise, keep reading. Basically, you’ll age better if you use it. Hydroxypinacolone retinoate is an ester of all-trans direct retinoic acid. That’s scientific jargon to say that, unlike all other forms of vitamin A, hydroxypinacolone retinoate doesn’t need to be converted into retinoic acid into the skin to be effective. It works as is. The company that makes it say that it’s just as good at treating wrinkles, dark spots and acne as all other forms of vitamin A are – but, without the irritation they usually cause. I don’t know about that. I haven’t found any studies yet that confirm hydroxypinacolone retinoate works for dark spots and wrinkles (it doesn’t mean it doesn’t, just that we don’t have proof, yet). But, I’ve found a study that supports the acne-fighting claim. I do believe that hydroxypinacolone retinoate helps treat wrinkles and dark spots simply because all forms of vitamin A do – to some extent. The only question is, does it do it better than other forms, such as retinol or retinyl palmitate? The jury’s still out on this. Palmitoyl Oligopeptide is a retinol-like peptide I was telling you about earlier. When I say retinol-like, I don’t mean to say it’s derived from retinol (this stuff is made with palmitic acid and several amino acids, including alanine, aspartic acid, glycine and lysine). No, I mean it has the same benefits as retinol but without the irritating side effects. Studies show that palmitoyl oligopeptide boosts the production of collagen, helping to keep skin firm and wrinkle-free. We have no idea how it works. Peptides shouldn’t. They’re too big to penetrate the skin. The latest theory believes they act as messangers: they sit comfortably on the surface of the skin, sending messages to skin cells to trigger the production of more collagen and do their jobs more effectively. Related: Peptides In Skincare: Do They Really Work? 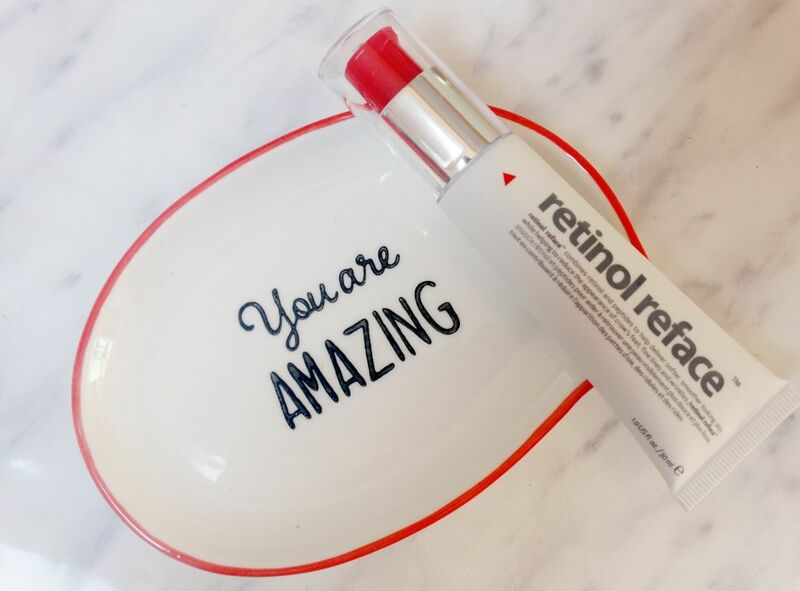 What Else Is (And Isn’t) In Indeed Retinol Reface? In are silicones. OTC vitamin A works – slowly. In the meantime, the silicones in the formula fill in your fine lines and wrinkles, helping them look smaller. (By the way, silicones don’t suffocate skin: they have a peculiar molecular structure with wide spaces between each molecule, creating a protective barrier that allows skin to perspire). Out are soothing agents. 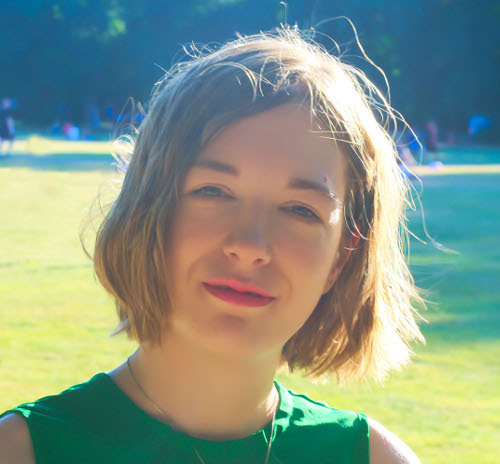 As I’ve mentioned I don’t know how many times on this blog, retinol is harsh. It can easily irritate skin and make it flake, if you’re not used to it. Adding some soothing agents, like allantoin and oats, to the formula would help keep these side effects at bay. Indeed Retinol Reface is a cream but I use it as a serum. I cleanse my skin, put it on and finish off with a facial oil. It’s not emollient enough on its own. It works well on my oily t-zone, but my cheeks always feel dry when I use the cream alone. Some skin types need the extra moisturizing help to make retinol work for them. Its lightweight texture sinks immediately into my skin without leaving any greasy residue behind. Within a couple of weeks, it made my skin clearer and brighter. My fine lines look a bit smaller, too. But, be careful. Indeed Retinol Reface isn’t for newbies. I wouldn’t recommend this to those of you who are looking for your first retinol product. Start with a smaller concentration of retinoids and work your way up slowly (check out what strength of retinol you should use at each stage + where to find it here). The lightweight texture and the addition of acne-fighting hydroxypinacolone retinoate make it more suitable for oily than dry skin (unless you’re willing to use it as a serum, like I do on my dry cheeks). For sensitive skin, this is a no go. Indeed Retinol Reface is a lightweight retinol cream that helps treat both wrinkes and acne. But it's too drying for dry skin (when used alone) and harsh for sensitive skin. Ingredients: Water/Aqua/Eau, Dimethicone, Isodecyl Neopentanoate, Isononyl Isononanoate, Cetearyl Alcohol, Propanediol, Caprylyl Methicone, Cetyl Alcohol, Glycerin, Pentylene Glycol, Glyceryl Stearate, Dimethicone Crosspolymer, Dimethyl Isosorbide, Cetearyl Glucoside, PEG-100 Stearate, Butylene Glycol, 4-T-Butylcyclohexanol, Phenoxyethanol, Caprylyl Glycol, Sodium Acrylate/Sodium Acryloyldimenthyl Taurate Copolymer, Isohexadecane, Xanathan Gum, Hydroxypinacolone Retinoate, Polysorbate 80, Glycine Soja (Soybean) Oil, Retinol, Carbomer, Polysorbate 20, Palmitoyl Oligopeptide, Palmitoyl Tetrapeptide-7, Acacia Senegal Gum, Propylene Glycol Alginate, Tocopherol. Congratulations for your page. Very interesting review! Yet there are some things that confuse me. First, as long as Indeed Labs Reface is concerned, the official site claims that it offers “Retinol Micro-spheres: a soft, pure retinol encapsulated in plant microspheres that slowly releases into skin. This optimizes the active’s effectiveness, working throughout the day after having applied at night with low irritant potential and maintained effectiveness”. Should we conclude that this is a time release retinol product or not? Moreover, having contacted with Deciem’s customer service, I was informed that Granactive Retinoid 2% Emulsion (or Advanced Retnoid 2%) doesn’t offer a time release system while their official site claims the opposite. I was trying to find a time released product because my skin can’t tolerate a straight dose of retinol hence all this research which ended up in conflicting descriptions. What do you believe on this sibject? Hi Dora, yes Indeed Reface is time-released but it has a lot of retinol so don’t go overboard. Start small twice a week. The Ordinary mentions a sustained delivery system so may not necessarily be time-released. I will contact the PR and see if she can shed some light on this mystery. Thank you so much for your reply. What’s the difference between time released delivery system and sustained release delivery system? Another drawback of both products (which seem to share the same HPR and retinol complex) is that they don’t disclose the amount of retinol they contain. Is indeed retinol reface good for older skin, I am in my late sixties.? Diane, yes, it’s good for older skin. But if yours is dry/sensitive, you may want to use an oil afterwards or it could dry out your skin even more. Hi i am a newbie to Retinol would indeed Retinol reface be a good place to start? What % is indeed retanol? Lucy, I’m afraid I don’t know the exact % but it should be lower than 1%. Great post! However, I think you should list as one of the cons that you are more susceptible to sun damage and so will need to wear a good sunscreen every day ? Which serum would you recommend to use in conjunction with the Indeed retinol and would I then finish with a usual night cream? Also is this retinol safe for use around the eye area, if not could you suggest a retinol eye product to target crows feet? Samantha, I’d use a hyaluronic acid serum first and, if that isn’t enough, a facial oil on top. Is this your first retinol product? If so, I’d try something gentler first and slowly build up resistance to this cream. If not, yes you can apply it on the undereye area too. It’s not dangerous for the eye area but it may be a little drying. HA serum – facial oul – retinol reface – night cream (if needed) ? Hi Crisma, I’m sorry if my answer to Samantha wasn’t too clear. First hyaluronic acid, then retinol reface and then facial oil. Apply a night cream between retinol and face oil only if your skin still feels dry.